With Lou stepping aside early, this allows the organization to get on with player evaluation and for coach Mike Quade, an opportunity to audition for the Cubs managerial position in 2011 and beyond. When I first hear Tribune beat writer Paul Sullivan say Quade is a leading candidate for the job, I started talking to myself, alone in my car trying to enjoy a Sunday afternoon. If this is in fact the case, I think it would say much about to what degree of rebuilding the Cubs are planning. If Quade is named manager next season, we are in for a long haul, Cub fans. That Quade was named manager for the remainder of this disasterous season puzzled me. 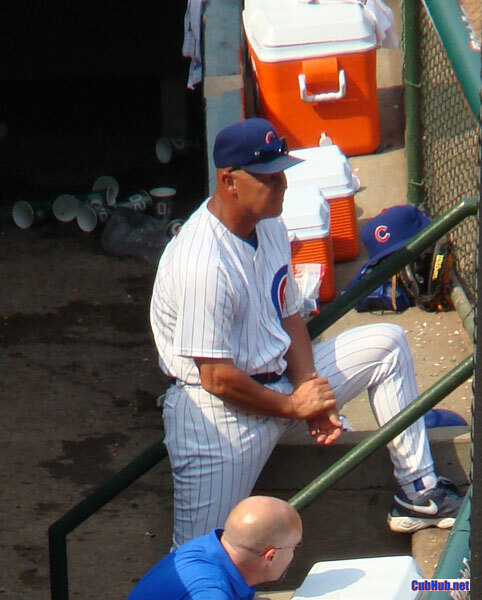 In Lou’s prior absence, bench coach Alan Trammel was acting manager. Now Hendry says Trammel is “not being considered” as a managerial candidate in a “wide open” search. I guess Trammel didn’t pass his audition. I wonder if Quade will do any better?